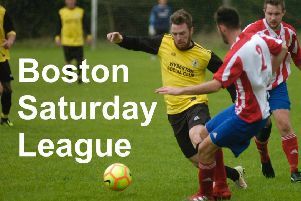 Boston Town’s fixture at Leicester Nirvana has been postponed. The Poachers were set to return to UCL Premier action following Saturday’s match at Eynesbury Rovers falling foul of a waterlogged pitch. Nirvana, the league leaders, will now be in FA Vase action at Hereford instead. The original tie on Saturday was abandoned at half-time because of a waterlogged pitch with Nirvana trailing 3-1. Unless another fixture can be re-arranged for Saturday, their next game will be their Lincs Senior Trophy semi-final at Blackstones on Wednesday, January 20.